Start with the strawberries (jahody). 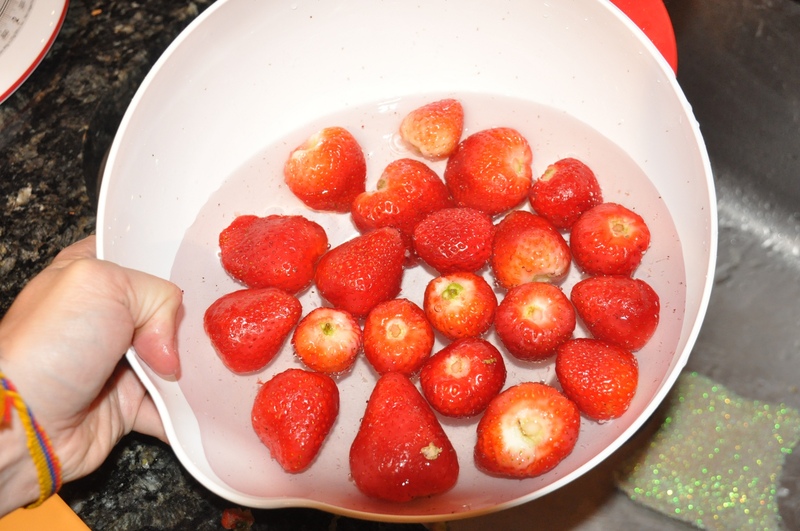 Remove the stems and rinse them. 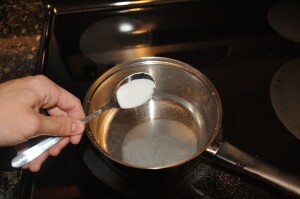 Next put the water in a pot and add the sugar. Bring to boil and stir to dissolve the sugar. 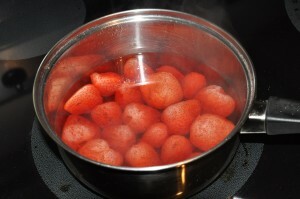 Then add the strawberries. It will probably look like you have way too little water, but that’s fine – the strawberries will let out additional water as they cook. 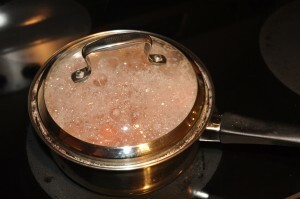 Cover once the water starts boiling and simmer for about 20 minutes. 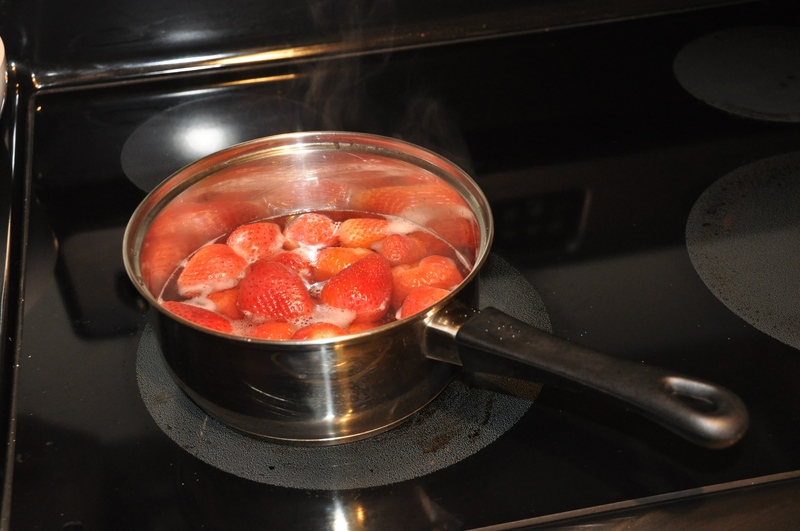 The strawberries will go through a protein break at first (at least that’s what I think it is as it reminded me of my beer-brewing days) so make sure to have the lid on and stand by to reduce the heat. Otherwise you’ll end up with strawberry foam all over the stove. And that’s it. At this point you would pour the mixture into jars and can them, but I didn’t do that, since I needed this compote as an ingredient for a cake. 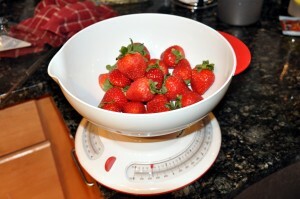 Don’t forget to also check out the recipe for the strawberry pudding cake that is made with this compote. 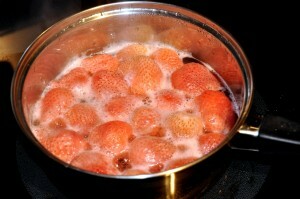 I would like to hear from you folks, do you have any good compote recipes to share? Any canning tips?